SECs analysis on a fiduciary rule must be thorough and well-reasoned, as a faulty analysis could doom or further delay prospects for reform. 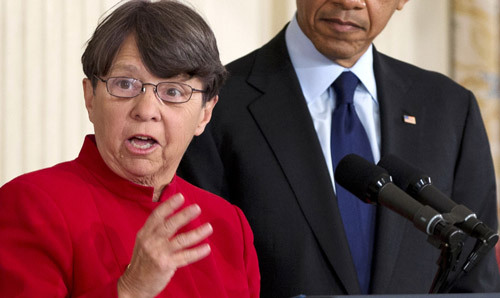 Fiduciary advocates told Securities and Exchange Commission Chairwoman Mary Jo White in a recent letter that the upcoming release of the agency’s economic analysis of a fiduciary rulemaking must be “thorough and well-reasoned” and meet six criteria, as a “faulty analysis could doom or further delay” prospects for fiduciary reform. In their Nov. 21 letter, the Financial Planning Coalition — the Financial Planning Association, the National Association of Personal Financial Advisors, the Certified Financial Planner Board of Standards — as well as the Consumer Federation of America and Fund Democracy Inc., provided to White, the SEC commissioners, as well as to Mark Flannery, the head of the agency’s Division of Risk Analysis, what they view as “key elements” that must accompany the expected release early next year of the economic analysis. –Assess the likely effectiveness of the various possible approaches to reducing investor harm in analyzing regulatory alternatives. The pro-fiduciary groups also said that as the agency assesses the economic impact of various possible regulatory approaches that it could pursue in lieu of a fiduciary rulemaking, the agency “must look not just at the potential costs to industry but also to the potential of each approach to significantly reduce investor harm.” Said the groups: “This is true for regulatory approaches that stop short of imposing a uniform fiduciary standard, as well as for those that would apply a fiduciary standard to all personalized investment advice to retail customers. The agency stated recently that it would evaluate next year “recommendations from a staff report to consider a uniform fiduciary standard” for advisors and broker-dealers “as well as finding ways to harmonize rules for advisors and brokers.” White said on Nov. 10 that she would soon “clarify” her stance on a fiduciary rulemaking, despite the fact that the agency has not yet decided “whether to do something or what to do” regarding such a rulemaking. Fiduciary advocates have been urging White to move forward with a fiduciary rulemaking on a split 3-2 vote. — Check out White Promises ‘Clarity’ on Fiduciary on ThinkAdvisor.